ČSN EN ISO 9001:2001 and ČSN EN ISO 14001:2005. 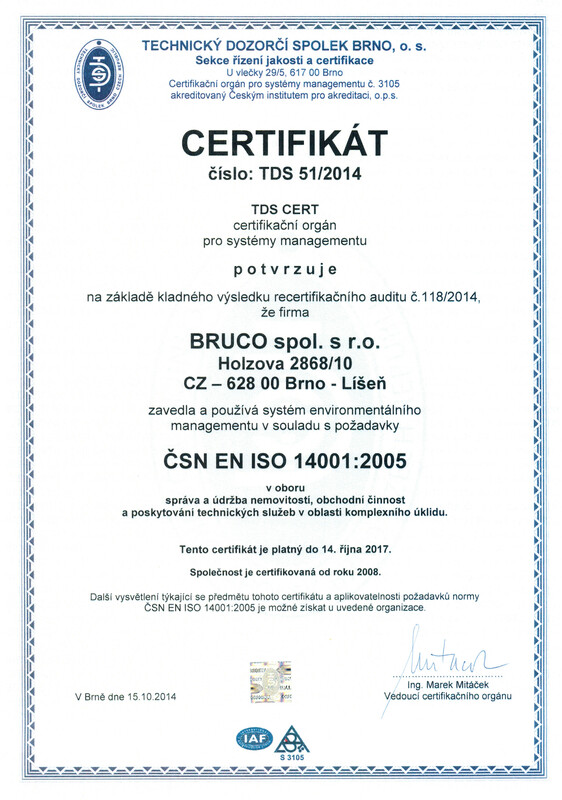 The certificates were issued by the certification body TDS Cert Brno. The fulfilment of the conditions and requirements in accordance with the standards is controlled on a yearly basis by a surveillance audit. 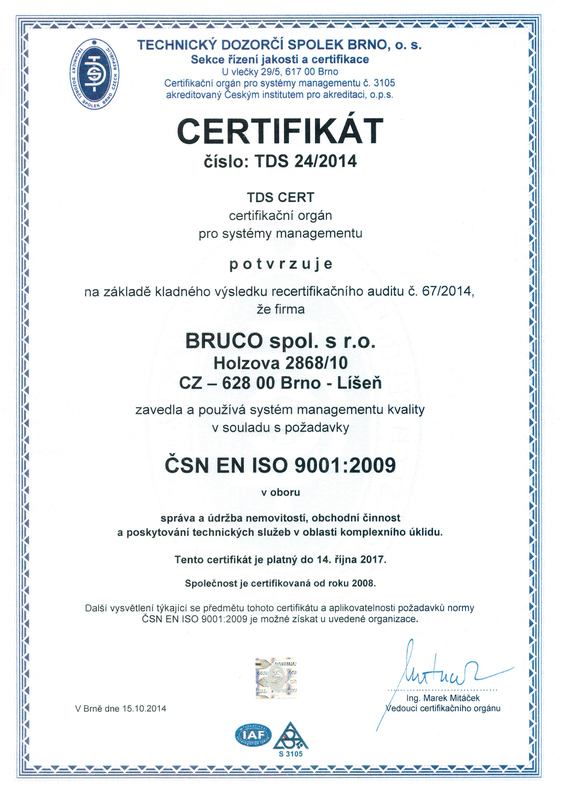 The quality system was updated in 2009 according to the standard ČSN EN ISO 9001:2009.